For this Summer's Boogaloo production. This is just a fun number. The Hospitality Ladies don't have a lot of stage time, so this song was a way to make it memorable. Also, as they actually do get their men later in the play, this is a fun way of telegraphing what those guys are in for. He gonna carry and fetch! He gonna open my jars! He gonna pay the bills! He gonna make me HAPPY!! [PANSY] - - the LOVE! "Write what you know". That's what my teachers always told me. So when I saw what I'd have to be writing a song about here I knew I'd be in deep kim-chee. So I enlisted some lyrical help. I usually work with a lyricist anyway, so I'm perfectly comfortable with that. 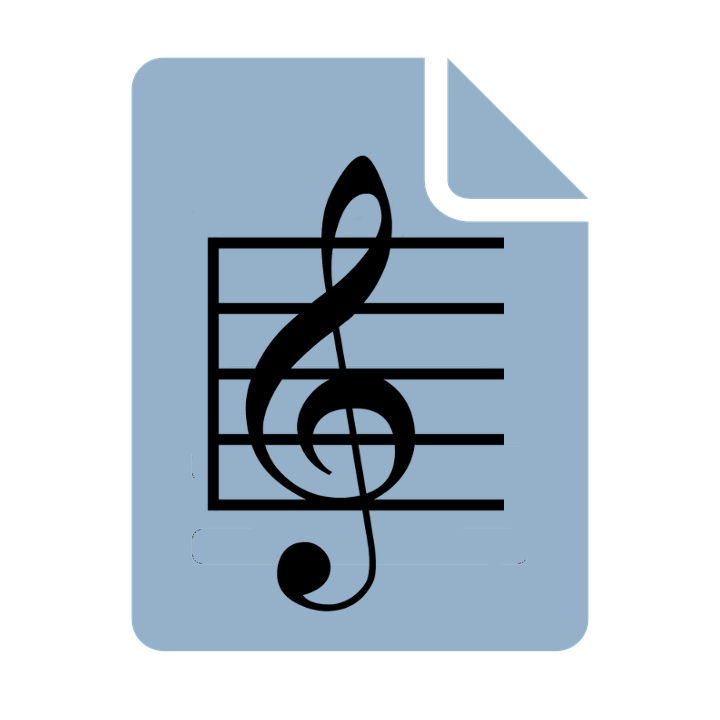 The song is sung by a woman whose parents have recently passed away. Going through their papers, she learns that her father had been married previously and that she has a half-sister she never knew about. Now they've corresponded by mail and the singer is waiting for her sister to arrive by rail from California. They will meet for the very first time on the railway platform. I can’t wait to see her – we’ll have so much fun! They always seemed to make it come out right. When she gets here I don’t know what I’ll say! Will she like my clothing? Will she have my hair? Will she want to know me? Will she even care? We’ll still be sisters and I’ll make her glad she came! This is sung early in the first act. I merely told JoAnn that the singer needs to be nervous. She took it from there and pretty much hit it out of the park. At least I think so. Once the ladies meet, it's pretty much as expected. They really DO hit it off, and after a bit of gushing and hugs, they reprise the song prior to their exit. You’re my sister, and I’m so glad you/I came! For we’re not just sisters – we are friends! This pretty much cries out for something slow and sweet, like "Goodnight, My Someone" from The Music Man, so that's what I went with. The bridge was a little troublesome for me. It's a little more rhythmic than I'd hoped for, but it seems to work. To be honest. I always dread writing for women, and I don't mean lyrically. I never seem to get the range right. If you're writing for a soprano, for instance, you tend to think, "hey, I can just throw notes up to the rafters and she'll hit them all". And she will. But it may wind up sounding more church or opera than a person who's vulnerable and airing her feelings. I haven't heard this one sung yet, so I don't know if it will need transposition. For our Boogaloo Summer play, I was asked to write a song for one of the young actresses to sing. The challenge with writing a song for her is that her character just doesn't have a lot to hang a song on. She's not involved in the ending, and not even much in the middle. She's just there. She picks at her brother early on, but anything based on that might just come of as petty. I didn't base it on anything in the play. Instead, I imagined a future history for her, and because these plays are loosely historical, I loosely based it on an elderly firebrand of a woman I knew from about 25 years back... a very independent woman who would have been about the right age. So in my fictional future history of this girl, she becomes very independent as a young adult and travels the world. It also points out why a little girl in 1907 would most of her apparent effort just picking at her older brother. There's a part in the play where she gets hushed up a couple of times for teasing her brother, this gives her a reason to sing the song. This gives her a reason, too, for being disconnected in the last part of the show. Her father can be a little unfair here, particularly if he knows in the back of his head that Missy has the advantage. His uneven treatment of the kids is a way of leveling the playing field, if you follow the logic. Dad pretty much knows that the girl is more quick-witted than her brother, even if he won't admit it. 'cept thinkin' of his stomach. To say that this is just. not. right. But I know I'm going to spread my wings and fly. I'm going to see it all! I'm going to dare them all! Of wildebeests and tall giraffes. That I'd like to appear amid. Who paint their laughter, joy and pain. My Ma and Pappa say that I'm too proud. Someday I'm going to spread my wings and fly! The first verse is a pretty accurate description of the character of the older brother, at least from his sister's point of view; and really from the audience's as well. He's preoccupied with food. The second verse simply expresses her dissatisfaction. It's really the only place in the play where she gets to do that aside from sniping at her brother. Both verses are basically edits of what I said when I described what I wanted the song to say. The third verse started out as more of me stating what I wanted the song to say, but then I jotted down the line "But I know I'm going to spread my wings and fly," and knew I had the hook. It came to my mind, and rings true to me because the woman who I'm basing this on was a pilot in her youth. Now I just dive into the "I want" bit. Knowing that she'll be a world traveler, I started listing out the things one might wish to see while adventuring in 1907. By keeping them as rhyming couplets, I can make this verse as long or as short as I wish, and choose to make it just a little bit over-long, as it gives her a chance to start rushing the list excitedly, revealing her passion. "I'm going to see it all..." applies the brakes to this headlong dash. And this allows me to fall back to the obstacle (Ma and Pappa, and their provincial expectations for their "little girl"), and to set up the "fences" metaphor so that I can deliver the final three lines, which I absolutely adore. In those three lines, we hark back to the "Hush up!" that prompted the song in the first place; we refute the "fences" metaphor, and we re-assert a bright future, which is a recurring theme in the play. And hopefully, it turns a character who's "just there" into one who you care about, and will recognize fondly when she makes her return appearance next year. This is the opening number. It's not really an overture, but it's an introduction to characters we'll see later in the play. It serves to set the tone of the play as well. In 1907, Union was a bustling boomtown that had gone from about 500 residents to nearly 10,000 in the space of a couple of years. In other productions set in later times, we focused on the drudgery of working in the mills, and their institutional nature, but not here. This is a time in which recruiters actively scoured the countryside for workers, offering what was at the time top-dollar wages. And the folks were ecstatic to have the steady employment. 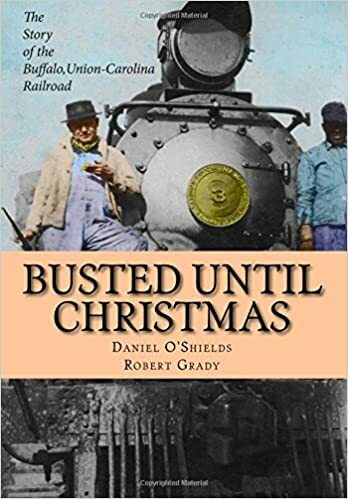 Here we meet a family of mountaineers who've left the Appalachians for work; the people of Union County who regularly rode the short line to Union and Buffalo mills; a pair of con men who will figure prominently in the script; "hospitality ladies" who see to lunches and lodging; and the Stationmaster. He said he got a job for me! And he got a job for me! I even heared they got plumbin’ there! And they got a job for me! ‘Cause they got a job for me! I never seen such a busy town! With plenty of jobs for me! So now I’m makin’ Union my new home! Look at the money just walkin’ around! That’s just good business, don’t call it greed! Our sweet tea tastes like it was blessed! If you’re like me you’re gonna like it here! The lyrics keep hitting on the theme of each verse, notably, jobs and opportunity. The hospitality ladies are doing their job... today, the City of Union's motto is "City of Hospitality". Note that there's a bit of exaggeration in the mountaineers' verse; a staple of Appalachian storytelling. That mill is taller than anything they've ever seen that wasn't made by God. Speaking of which, they're not getting just a house, but a mansion; which is Biblical allusion to their expectation of a little slice of Heaven. By the way, it's a fact that the mills did provide housing. I myself lived in one of the mill houses on Mill Hill. It wasn't situated on a street... rather, the front door opened onto a small walkway that lead straight to the mill itself. Even the con men are struck by opportunity. And by placing the hatching of their scheme here in the opening song, we can go straight into it later, without a lot of to-do. They're con men... selling "snake oil" is what they do. It's just simple. It starts with a train whistle, and with a snare drum approximation of the chugga-chugga of a railroad train, joined by a musical motif that keeps it moving. The only tricky part was coming up with something that could be "sung" by absolutely anybody, regardless of vocal ability. You'd think it rare to cast people who can't sing in a musical, and you'd be wrong. It's the most common thing in theater.